Builders and developers are always looking for cheaper building materials that can do the same job as the materials they have been using for years. Using different, less expensive, materials saves builders and homeowners’ money. However, if new building products are rushed to the market without adequate laboratory analysis, field testing, and/or quality control, then homeowners end up paying the price. 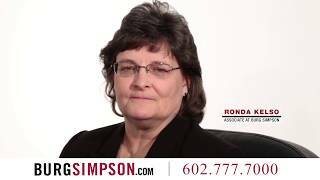 Burg Simpson is a leading construction defect litigation law firm. The Burg Simpson construction defect attorneys have extensive experience handling a variety of construction cases related to building material defects. Our construction defect attorneys are results-oriented. We are focused on getting the results you need in a cost-effective, efficient manner. Our goal is always to ensure that you have the home you were promised, as soon as possible. Accordingly, we encourage homeowner associations and individual homeowners to try and work out problems with builders and developers first. But if you have exhausted your options, and the responsible parties refuse to fix the problem, our law firm can step in and provide assistance. If you need help working with your builder or developer, contact the construction defect law firm of Burg Simpson by filling out a Free Case Evaluation form right now. Building material defects can be traced to a lack of testing, errors in the manufacturing process, improper construction methods or application, or a failure to properly consider the interaction of the components and materials with the environment. Regardless of the source of the product failure, we have the experience and resources necessary to effectively handle any claim related to defective building materials. 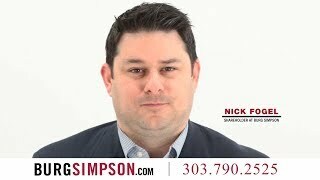 Call the Denver construction defect attorneys at Burg Simpson at 303-792-5595 so we can go over your case details with you. Colorado’s judges and politicians have been arguing about construction defects for years. One of the more significant changes has been a well-funded effort to chip away at homeowners’ rights. The most dramatic of which has been to cut the statute of limitations on construction defects claims to two years. The clock starts running “after the claim for relief arises”, which is defined as when a homeowner discovers (or should have discovered) a construction defect in their home. These cases can take months to negotiate – and possibly even years to litigate. So it is important to act quickly. Our construction defect attorneys have years of experience dealing with these cases. We have worked with developers, builders, and building material manufacturers. 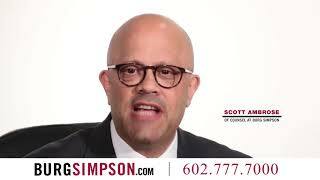 If you have noticed what you think might be defective materials in your home, call one of Burg Simpson’s Colorado construction defect lawyers before it is too late at 303-500-5995. We always advise homeowner associations and individual homeowners to attempt to work out problems with builders and developers first. However, if you have exhausted every other reasonable avenue to get them to fix the problem, our trial law firm can step in and provide assistance. We strongly encourage the use of “Plan B” settlement discussions involving roundtable meetings of construction experts in an effort to develop a reasonable repair plan to be funded by those responsible for the construction problems. Homeowner associations and homeowners must be careful, however, that the “Plan B” process is not misused to make Band-Aid repairs following an inadequate investigation that will come back to haunt the owners years later. No property owner wants to hastily sign on to an agreement for a “Plan B” repair. If you think your new home has been built with defective materials, call the Denver construction defect lawyers at Burg Simpson today at 303-792-5595 or fill out our FREE CASE EVALUATION FORM now for a free, no obligation assessment of your case.